Our goal is to provide you with a relaxing and enjoyable vacation that you remember for years to come. We will be operating the camp from May to October. 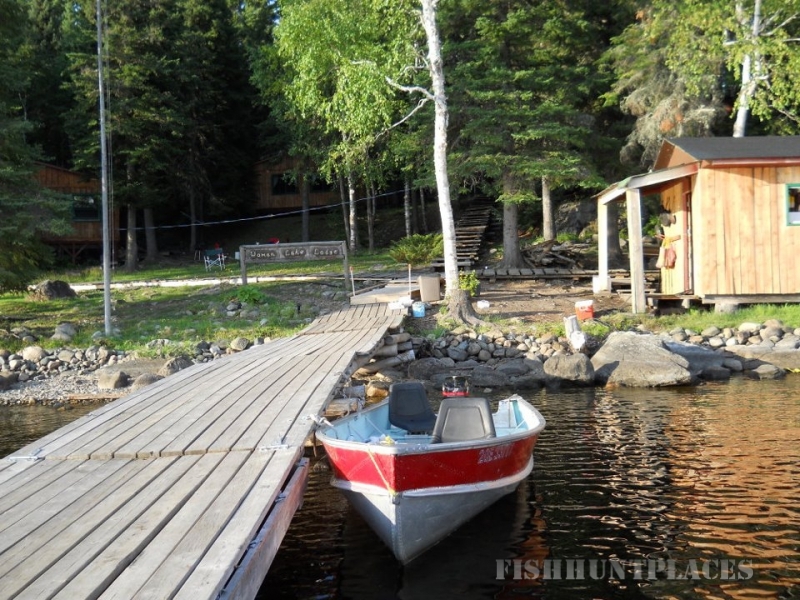 Woman Lake Lodge is a sport fishing camp, off the grid but on the map. 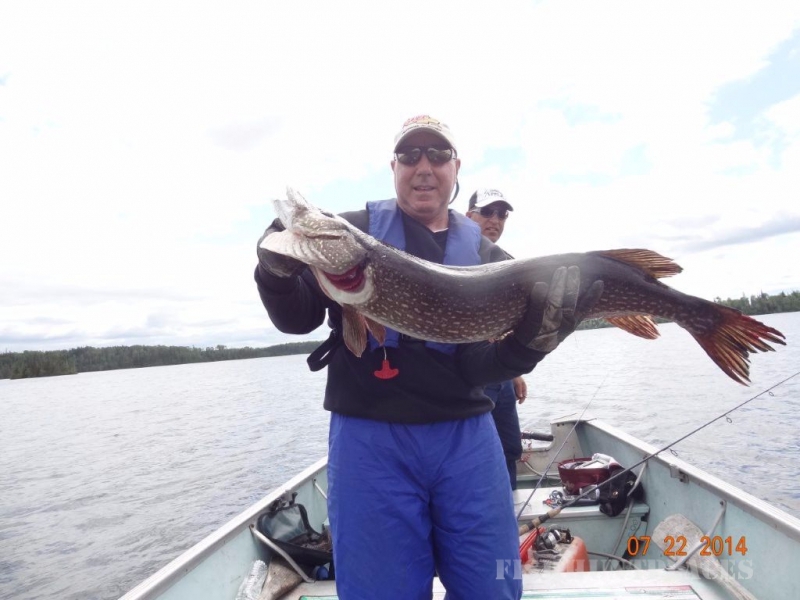 We offer fly-in quality fishing without the expense or limitations of a fly-in trip. Located at the top of the Woman River chain of lakes, on big Woman Lake. 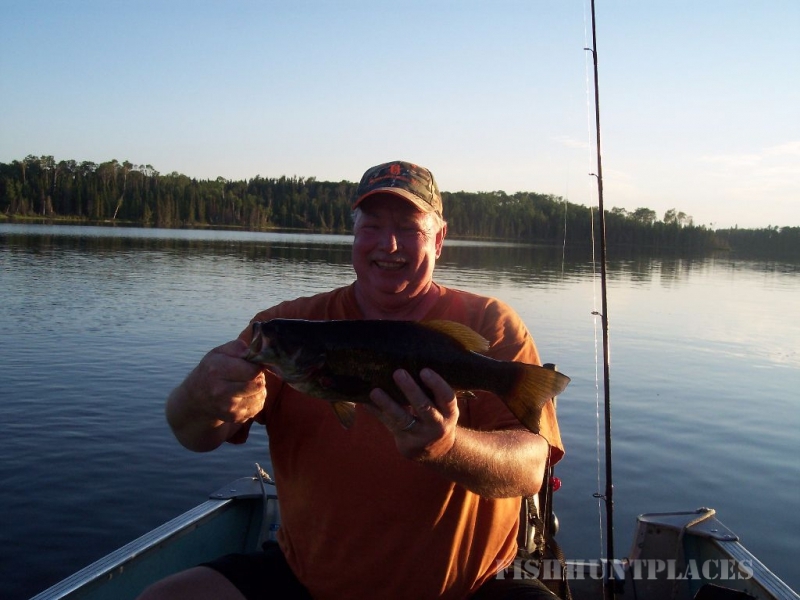 We have trophy walleye, northern, and lake trout just minutes from your cabin. 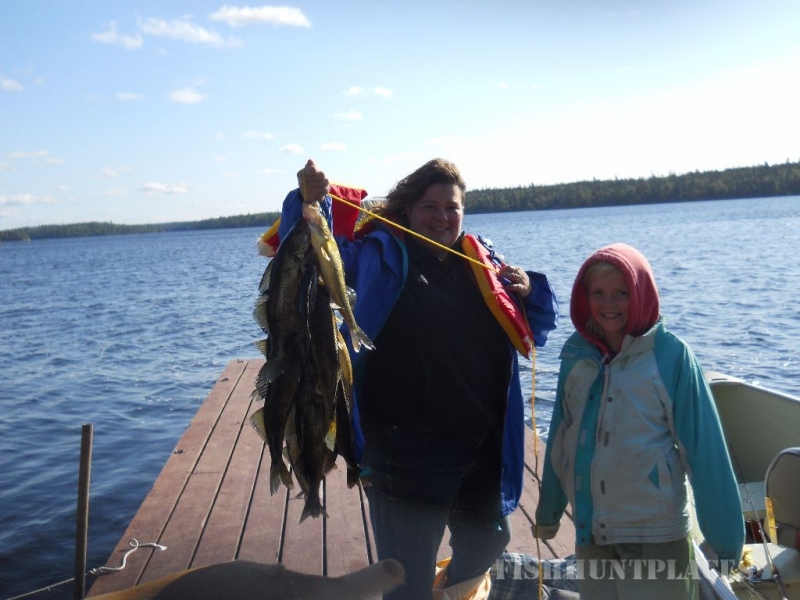 Woman Lake is an extremely productive dark water lake having great numbers of 15” to 18” walleyes. 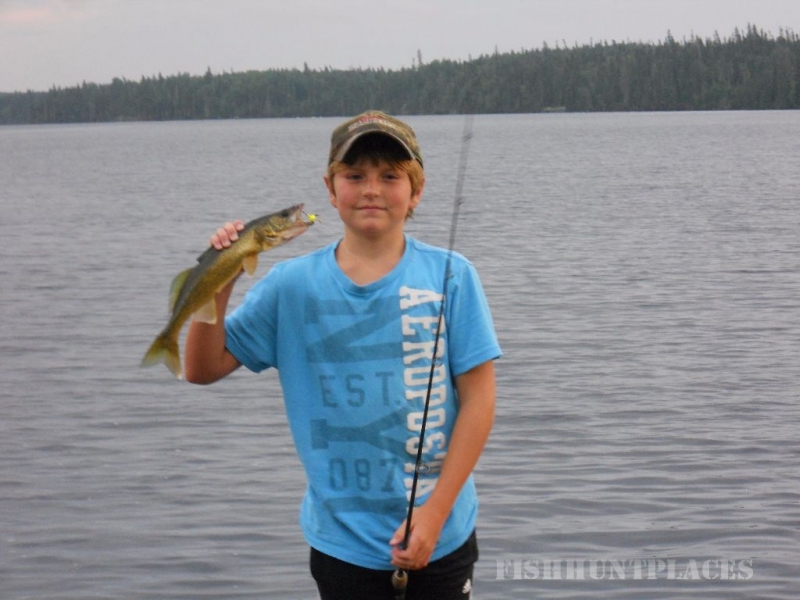 Guests report days of catching 100 plus walleyes per day with large numbers of plus 18” fish being released. We promote and require ALL trophy fish be released. The lake itself with it’s pristine setting is one that can be enjoyed by not only fishermen, but also anyone wanting to enjoy nature as it was intended. The lake offers up her beauty to anyone who brings along a camera! 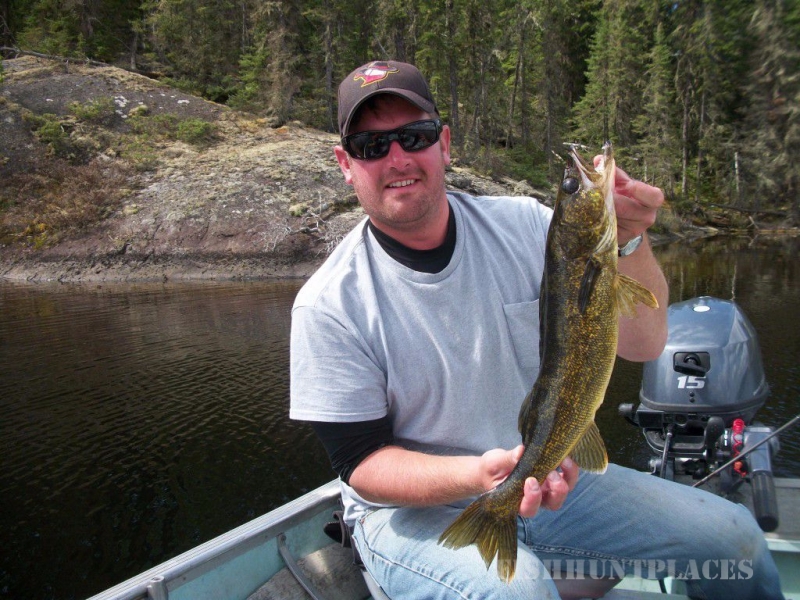 Narrow Lake: This lake is as close to world class Walleye as the Woman Lake system gets. Its policy is no trophy fish kept and one conservation limit no matter which license you hold for the week. The lake has many springs and sections of the lake are 200 feet deep. Additional Lakes: The lakes listed below are presently not accessible at this time, but we will be working on improving trail access to these remote lakes. Slick Lake, Un-named Lake (1st lake North of Narrow Lake), Lark Lake (3rd lake North of Narrow Lake), Skipper Lake, Gussie Lake, Mousseau. REMEMBER: We are a boat in lodge, travel lite and be sure to pack in water proof containers. Your hunting/fishing package is from Sunday through Saturday and includes a very clean modern housekeeping cabin, which is completely furnished. Your bedroom will have wall to wall carpeting, a comfortable bed with a pillow, sheets and blankets. Your kitchen is well equipped with a table, chairs, wood heat stove, gas cook stove, refrigerator, cookware, dishes, utensils and hot and cold running water. Your cabin has a flush toilet and our generator runs 24 hours a day. Your cabin will accommodate parties of two to ten people. 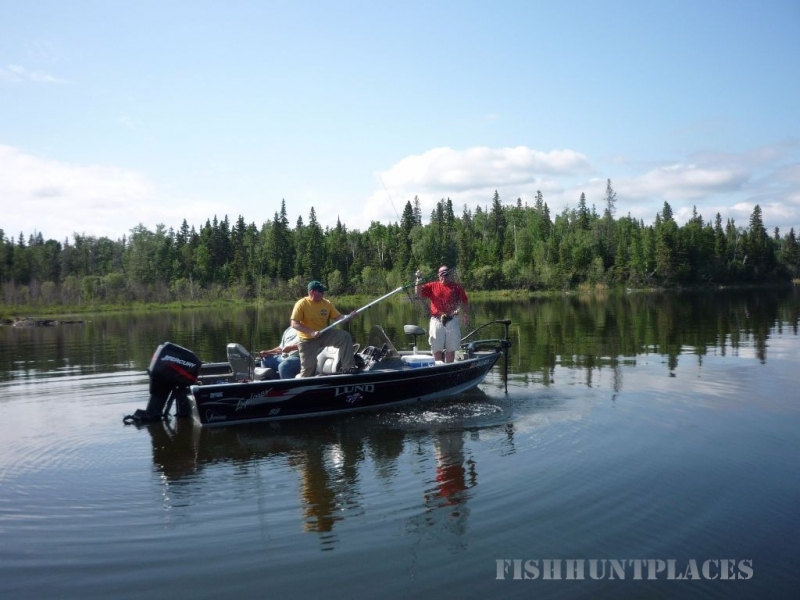 You will have a 14’ Naden boat and a 15-hp motor, with padded swivel seats, all boat equipment-paddles anchor, landing net, and minnow bucket as part of your hunting package. 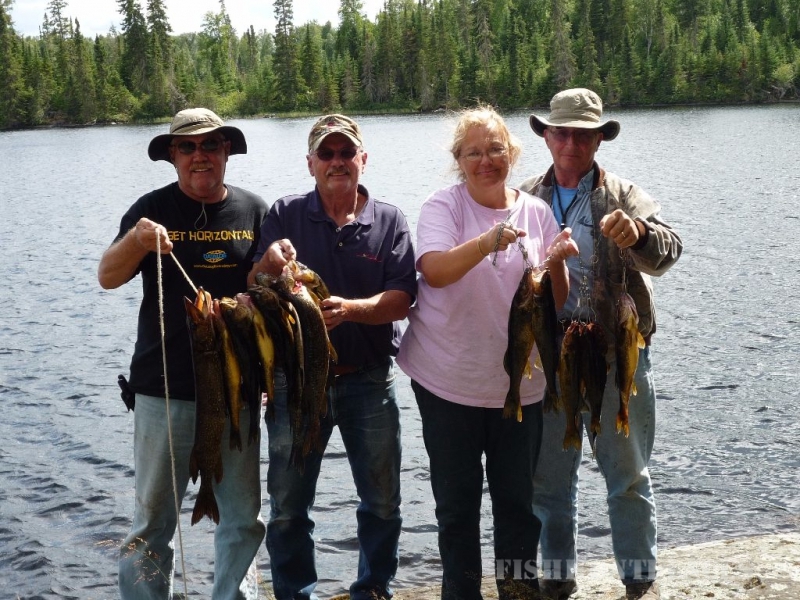 Woman Lake Lodge has over 100 square kilometers in our Bear Management Area, which is conveniently located close to camp at the north end of Woman Lake. 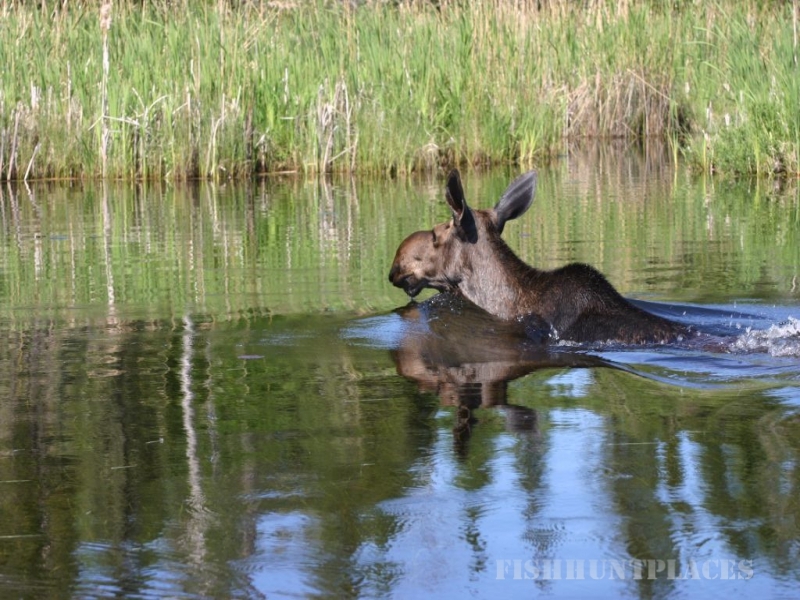 Your bear hunt will include baited sites checked daily for bait and activity. Your bear site is selected and baited prior to your arrival. 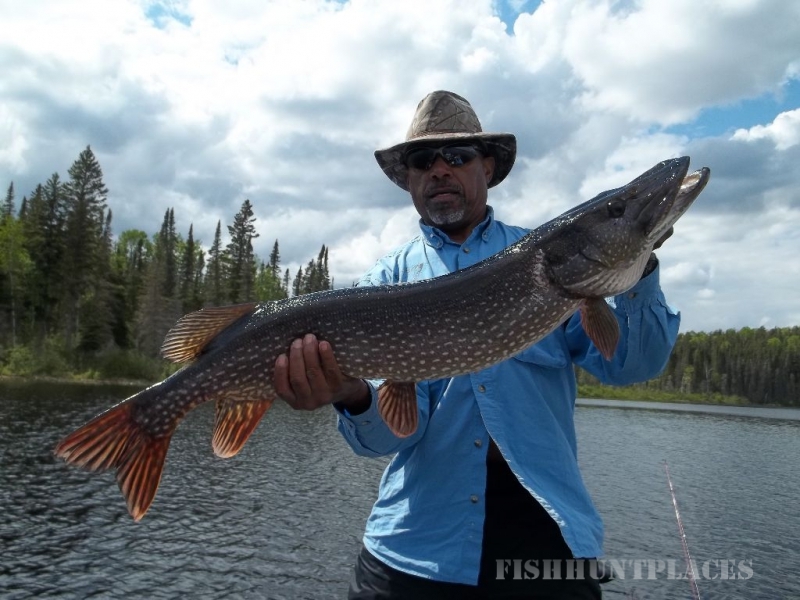 We keep track of the activity at a bait site and will put you on an active site. Your bear hunting/fishing package is for either the gun or bow season. For available dates and further information on bear hunts please call. We limit the number of hunts per season to provide the best possible hunt for you. Rates are in U.S. Currency and rates do not include hunting licenses and taxes. You can hunt for duck and grouse. You can just add this to your regular fishing package at no extra charge. We offer accommodations for resident hunters. We are located between zones 3 and 16A. With our remote location, the hunting pressure is limited.